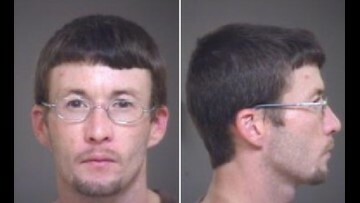 Joshua Chinault, 31, was taken into custody Friday night at Days Inn on Clark Dr.
LINCOLNTON, N.C. -- A husband and wife were arrested on murder charges in Lincolnton Tuesday. Officers were called to the scene around 6 a.m. at 2005 East Main Street for an unresponsive man in the parking lot of a business. The victim, Christopher Alexander Easter, was pronounced dead minutes later. Jason John Carwile and Carolyn Ashley Carwile were charged with murder and taken to the Lincoln County Detention Center. As the couple was brought into court Wednesday morning for their first appearance, both proclaimed their innocence while making several unsubstantiated claims about Easter. "I defended myself!" Carolyn Carwile said when asked if she was guilty of murder. "Please have Lincoln County Police [sic] look into this crime," Jason Carwile said. However, Lincolnton Police Chief Rodney Jordan disputed the couple's claims of self-defense. "There's self-defense, and then there's murder," Chief Jordan said. "We're going ahead and working this as a homicide." A woman who briefly lived with the couple said the Carwiles and Easter knew each other, and she claimed they got into an argument early Tuesday morning. The woman, who asked not to be identified out of fear for her safety, said Easter ran off with the couple running after him. "They chased him down the road, and they caught him. They beat him up," she said. "They really didn't have to chase him down, and do what they did." She said Easter's death devastated her and her daughter. "I would never wish that on my enemy," the woman said. "[Easter] was a young, sweet guy." The couple remains in jail under no bond, and a grand jury is expected to indict them in the coming weeks. A third suspect, 31-year-old Joshua Chinault, was taken into custody Friday night. 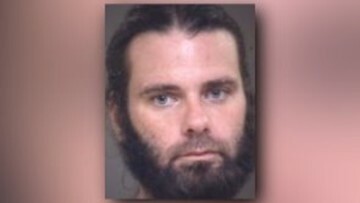 Police said he was tracked down at Days Inn on Clark Dr. in Lincolnton where he was hiding in the ceiling.